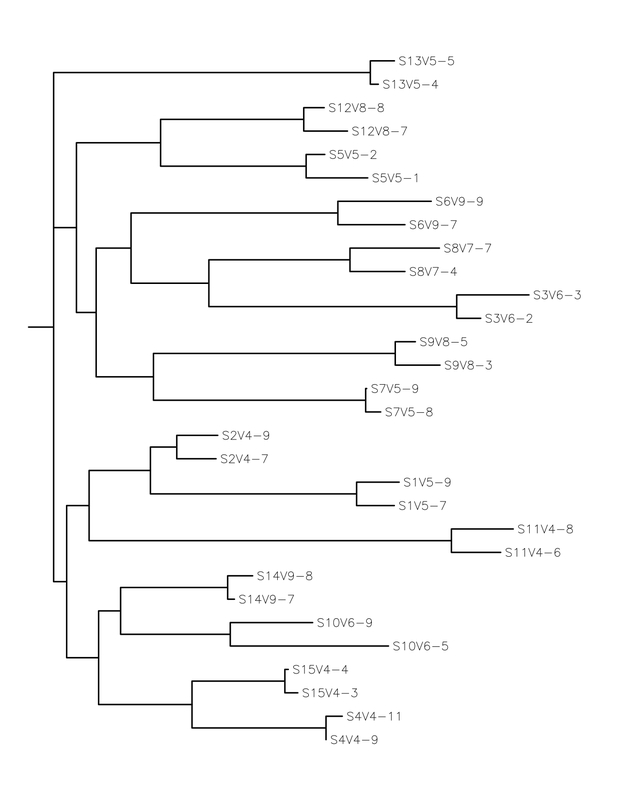 The rooted tree of last visit for all subjects with random sequences can be found here in powerpoint form and here as a JPG. while there does seem to be a correlation between those with AIDS and the commonality of their sequences, the fact that there are not some sequences that are not even close to the rest of their group that we have put them in is slightly disheartening. Forgot how confusing the Rooted and Unrooted trees are. Because you can flip around each root node, some of the distances are not as far as it looks. This page was last edited on 5 October 2011, at 12:30.